Rainwater tanks constructed at schools ensure children have access to clean water while they learn. Clean water is essential to life, yet 780 million people around the world do not have access to it. More than twice that many, 2.5 billion people, don’t have access to a toilet. PWS&D is working with partners globally to provide communities with clean, safe drinking water and proper sanitation facilities to relieve thirst, improve health, enhance quality of life and achieve lasting change. PWS&D’s water programs bring renewed life to communities struggling with chronic water shortages and water related disease and illness. The results are often dramatic – people lead healthier lives, children attend school more regularly, families are able to focus on income-generating projects and overall quality of life is improved. In areas where access to water is severely limited, PWS&D local partners work to improve current water sources, build new ones and install water storage tanks at schools to ensure children can access water throughout the day. 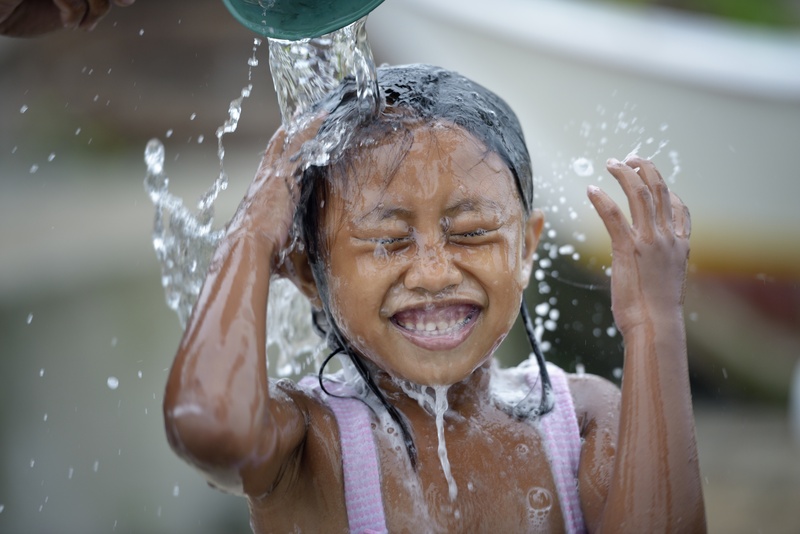 Clean water is reducing the prevalence of waterborne disease and illness. PWS&D’s clean water and sanitation programs go beyond building wells by striving to empower local people to meet their own needs. Improved sanitation facilities help prevent the spread of illness and communities are taught about proper hygienic practices and are organized to maintain their new water sources for the long-term. The benefits of accessing clean water and sanitation are like dropping pebbles into a pond and watching the ripples spread out. Not only does the gift of clean water relieve thirst, but children are also able to attend school and women can better care for their families, harvest crops and start small businesses. In areas where households struggle with hunger and need to establish food security, water from wells and boreholes can be used for livestock, gardens and irrigation systems to increase food production, extend growing periods and improve household income. Turning on the tap and flushing the toilet are automatic actions for most Canadians. But in many developing countries, people don’t have access to clean, safe water. Instead they struggle with chronic water shortages or must travel far distances to collect their water from contaminated sources. Women and girls risk being assaulted or attacked while fetching water or looking for a place “to go.” Some children, especially girls, don’t finish school because washroom facilities are non-existent or in terrible condition. 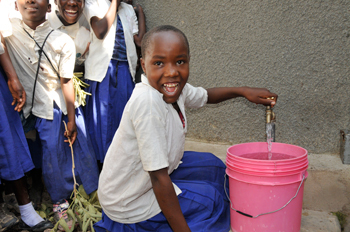 The implications of safe water and sanitation on people’s everyday lives are far reaching. Diseases caused by dirty water, inadequate sanitation and poor hygiene are responsible for nearly two million deaths each year. In spite of this, Water, Sanitation and Hygiene (WASH) programs don’t receive nearly as much attention as other global health issues. While the solution to the crisis might seem simple—dig more wells, build latrines and teach people about germs—in reality the answer is much more complicated. The clean water provided by wells is essential for life, but water projects must incorporate training and a focus on sanitation and hygiene to be truly sustainable. Lydia and others living in Shinyanga, Tanzania, regularly walked over six kilometres to collect water from an open pond – the same pond that animals drank from, waded in and people washed in. As a result, waterborne disease and illness were all too common. Lydia’s children frequently missed school and she was too ill or did not have the time to harvest her crops. Inadequate access to safe water and sanitation facilities was endangering her family’s health and trapping them in poverty. 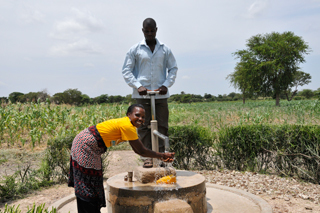 Thanks to a PWS&D program that began working in Lydia’s community, a new well was constructed. The walk to water sources has been reduced to 30 minutes and instances of disease and illness in her community declined. Through your generous support, children and their families around the world are accessing clean and safe drinking water for healthier futures. Make a donation today!